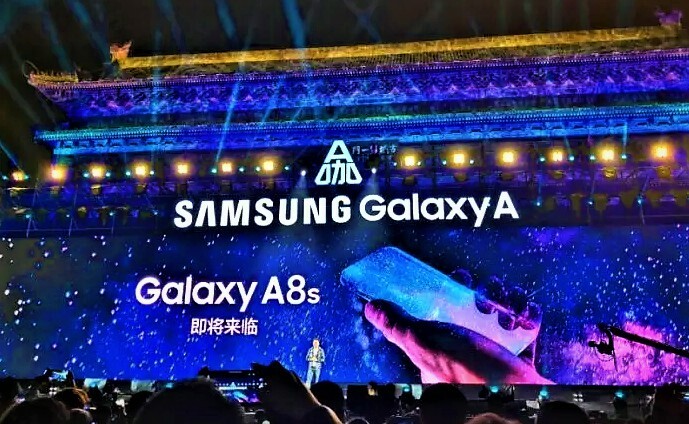 Samsung teased its upcoming Galaxy A8s smartphone at the launch event last month held in China, the event was for two smartphones the Galaxy A6s and Galaxy A9s. At the same event the company teased the Galaxy A8s with an edge-to-edge display containing a selfie camera cut out at the top middle. Now Few images of the Galaxy A8s display front panel and screen protector have leaked online which reveals an Infinity-U display. There is a probability of Samsung putting a newer Snapdragon 670 or 675 SoC instead. The Galaxy A8s could get up to 6GB of RAM and 128GB of internal storage. Galaxy A8s could sport a Super AMOLED display, it could also feature a triple-camera setup at the back. Currently there are rumors that says successors of the Galaxy A7 2018 and Galaxy A8 2018 will be coming as Galaxy A70 and Galaxy A90. However there is no official details revealed by Samsung and hence we must to wait untill the company shares any regarding info, Comment below your thoughts on the rumored smartphone and Stay tuned with Alloftop for complete spec details and updates on the same!